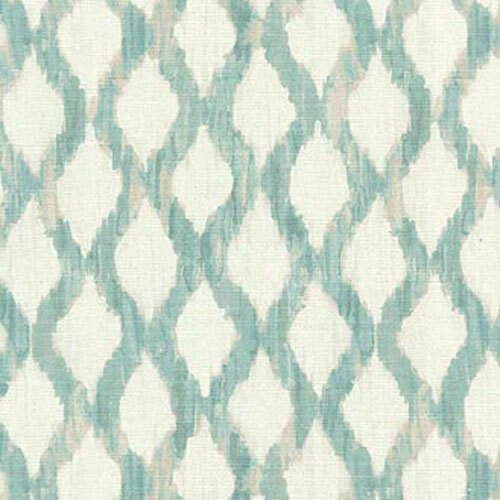 Kelly Ripa Floating Trellis in the spa colorway. Contemporary design in shades of teal, pale gray and white. Suitable for drapery, decorative pillow covers, headboards, crafting or other home decorating projects.